Gain valuable insights about your contacts with one click. Smart contact data retrieves web-data about your contacts instantaneously. You’ll find valuable information from sources like Google+ and LinkedIn, which could be key to closing the deal and will save you a lot of time. Pipedrive will retrieve extensive information about your contacts using just an email address and public data. From there you may be able to tell which leads are "hot" and which are not. 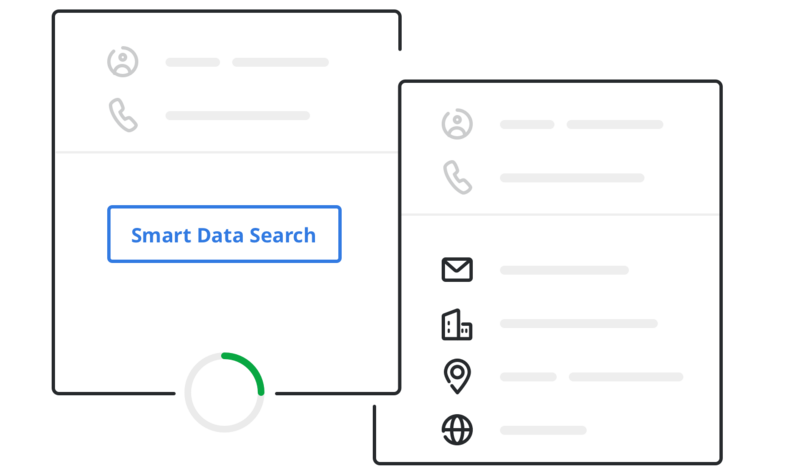 Smart contact data saves you hours of research and makes it easier to prioritize your focus on the right leads, increasing your chances of success. With such knowledge and spare time, you'll be unstoppable.